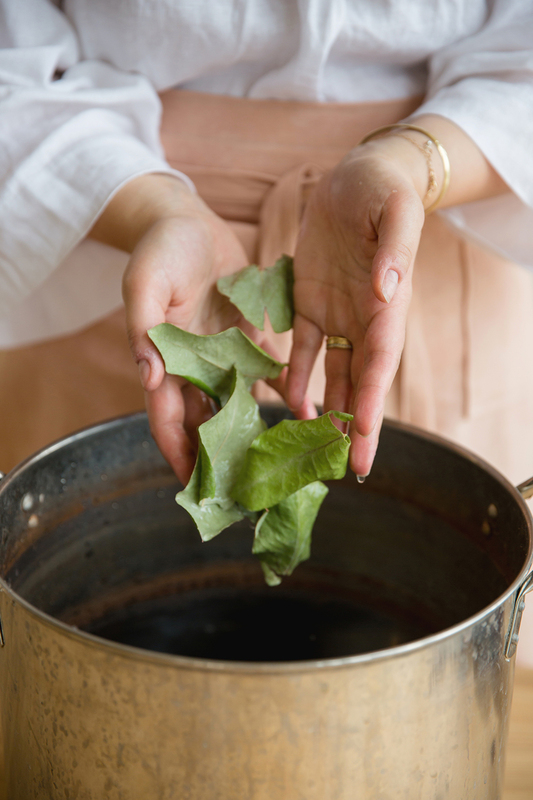 Kasia Galloway - aka Naked Dye - uses vegetable scraps and plants to create the all-natural dyes for her debut collection of linens. 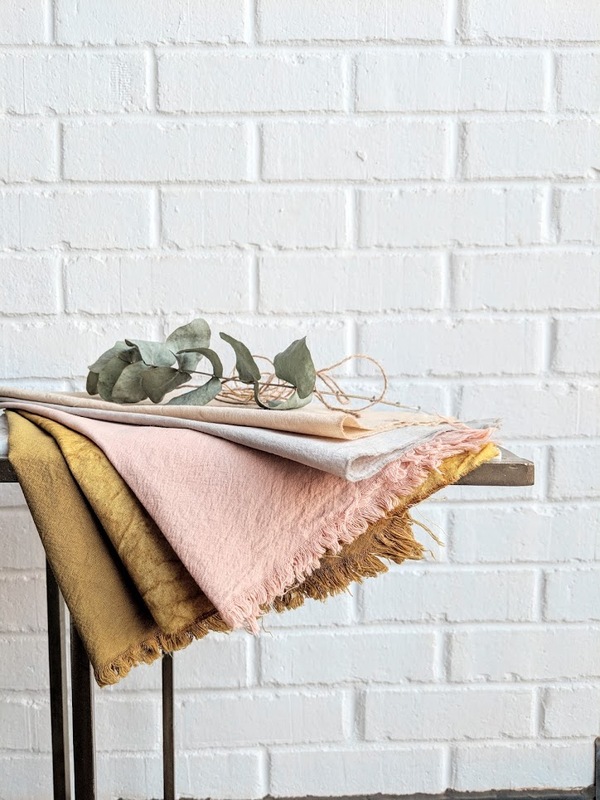 In an industry which is increasingly saturated with mass-produced, disposable homeware (as more and more high street fashion brands sidestep into interiors), her sustainably-made tablecloths, tea towels and aprons are a breath of fresh air. I caught up with Kasia to find out more about how she works and where she found the inspiration to launch her company. I'm actually trained as interior architect - and I still work as one! I love creating things. As much as I enjoy designing for clients, I have always dreamt of a job that keeps me away from the computer screen and allows me to make things with my hands. 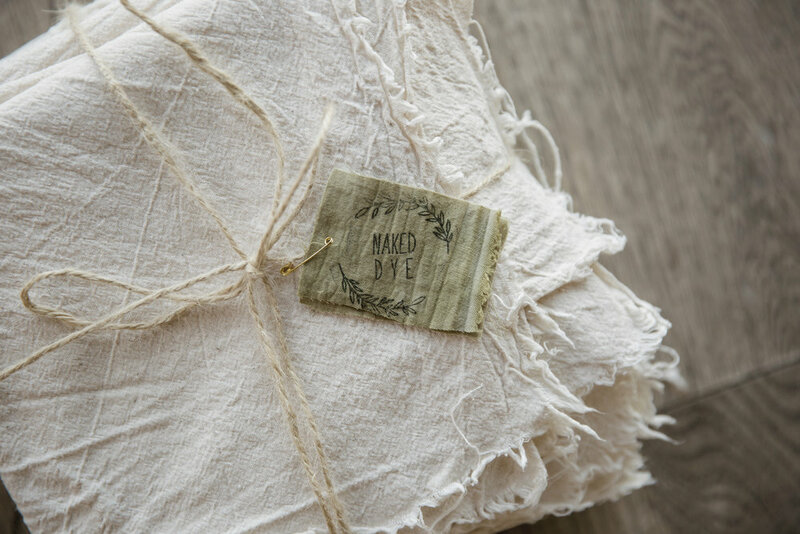 I'd never worked in textiles before I started Naked Dye, and as I researched the industry I quickly realised how unethical and unsustainable it was - that's why I decided to take the organic and eco-friendly route. I want my products to be beautiful, but kind to the environment at the same time. What gave you the inspiration to found Naked Dye? I guess it was curiosity! I wanted to experiment with natural, vegetable-based dyes, and to start a brand that makes things for people to use and enjoy every day. It took me a while to find something I was really passionate about; I tried many things. With natural dyes I was instantly so 'into it' that I knew I had found my thing! Soon after I learnt to sew, and now I have so many ideas I sometimes don't know where to start! I source my fabrics from Poland, where I'm originally from. It took a while to find the right suppliers, but I eventually managed to establish a relationship with a company that has certificates proving the sustainability of how their products are made. It takes a few days to prepare the fabric, to ensure the dye binds with it - my products can be washed without losing the beautiful colours. My favourite dyes are made from avocado stones and skins, that give the delicate pink; and red onion skins, which turn raw fabrics into vivid shades of yellows. You have to work fast with some dye baths, as the colour changes within seconds, but it's not about achieving the same result every time - for me it's about celebrating what plants and food waste can produce. It's truly fascinating! What are your future plans for Naked Dye? I think I just want to take it easy and keep experimenting with things. I want to make one off pieces using fabric scraps; imperfectly dyed fabric; I want to dye vintage linens to give them a new life and purpose. I have many ideas that I want to explore! And a few events where you can buy my products, which I'll announce soon on instagram.